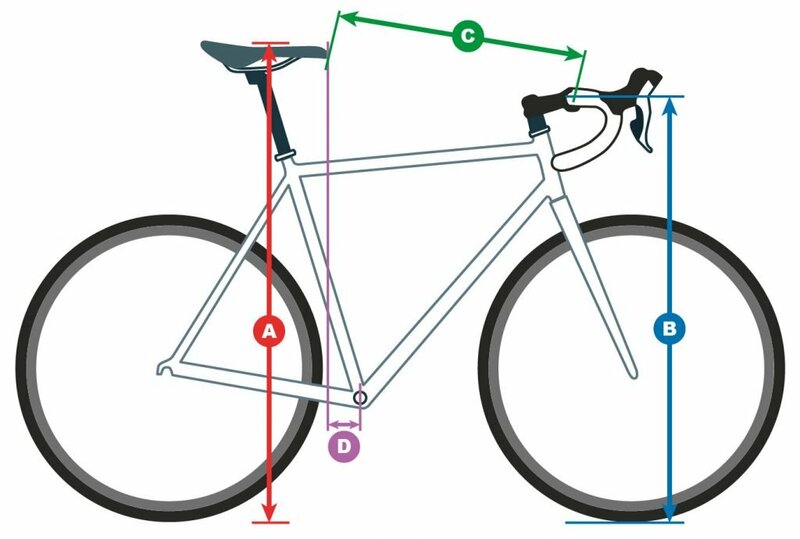 This form illustrates how to measure your current bike setup. The four dimensions you provide will allow us to translate your current position over to the most suitable hire bike we can supply. These measurements have been developed over our 20 years experience and will reduce time adjusting your hire bike at the beginning of your trip. You will receive a hire bike with a setup as close as we can when you arrive. Still with the bike as upright as possible take the vertical measurement from the floor to the centre of the handlebars close to the stem. Keep the tape as vertical as possible, small variations will not cause significant discrepancies as long as you measure to the centre of the bars. This measurement is taken from the tip of the saddle to the centre of the handlebars in the middle of the stem clamp. Set the bike as upright as possible and set a plumb-line from the tip of the saddle. Ensure the plumb-line is able to hang freely and is not resting on frame. Measure from the plumb-line to the centre of the crank. This may be easier to do with the help of another person.